This blog is to help my fellow teachers get ideas on decor, lessons, activities, organization, classroom management, and so much more!!! I will start setting up my room soon. Can't wait to share! Mo Willems Author Study- Interactive Notebook, Lapbook, Flipbook, and More!!!! Dollar Tree Finds For the Classroom! Reuse Your Baby Formula Cans!!! Classroom Tour Part 2 (13/14) School Year! 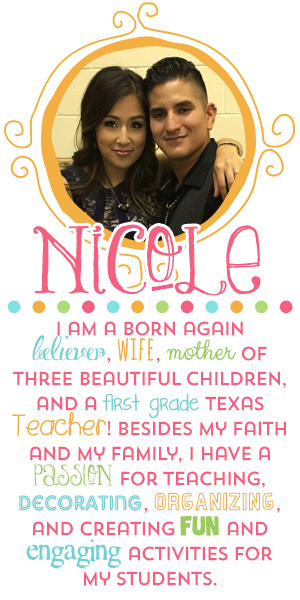 Visit Nicole Cantu's profile on Pinterest.